60W Eleaf iStick TC MOD is an innovative temperature control iStick from Eleaf, with silver and black battery frame for your choice. Both TC and regular VW mode available. 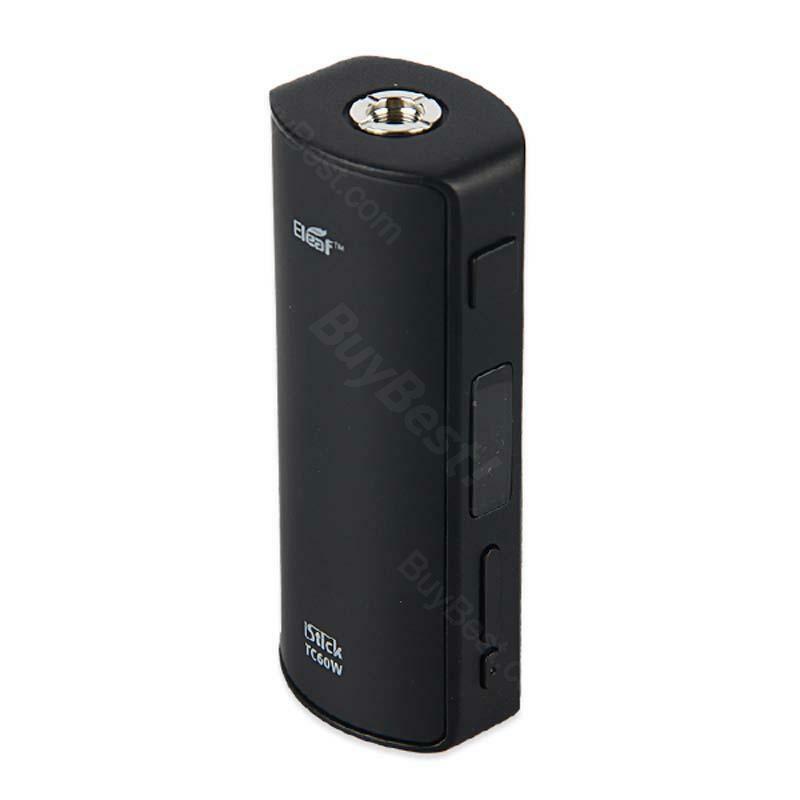 60W Eleaf iStick TC MOD, is the innovative temperature control iStick from Eleaf. Being replaceable, its magnetic panels are designed for ease of switching your 18650 cell and changing the panels into a different color. All TC-Ni, TC-Ti and regular VW mode available. With OLED screen display, and precise buttons for adjustment, it's a handy and excellent small size TC MOD for you! You can choose Pack A without usb cable, or Pack B with a usb cable. • It can work with 510 threaded clearomizers/tanks. • No cartomizer/tank comes with. • There is a "CE" mark on the battery. • In TC-Ni/TC-Ti mode, please make sure the coil is at room temperature when first used with the iStick TC60W. • It doesn't come with 18650 lithium battery, you shall buy separately. Easy handling and easy menu. Good voltage and watt settings. Good batterylife when used at 30 watts , 2600mah last the whole day. Nice design and size. Fits nice to the hand and all the buttons are at good place for use. Using with Samsung INR18650-25R 2500mAh - 20A battery and gives outstanding performance. This 60W Eleaf iStick is a salable product. Good quliaty. 60W Eleaf iStick TC MOD ist einfach der Hammer!Beschreibung zum Aufbau ist sehr gut.